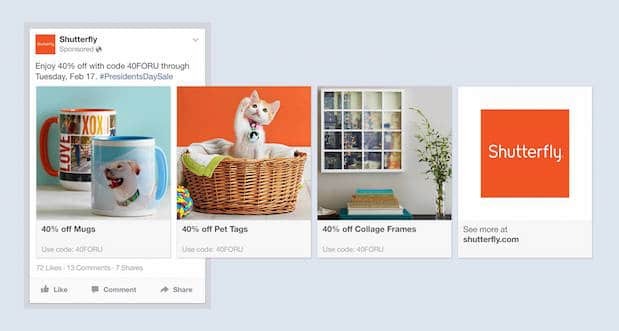 Home»Blog»Marketing»17 Facebook Ad Tricks That Actually Boost Sales! 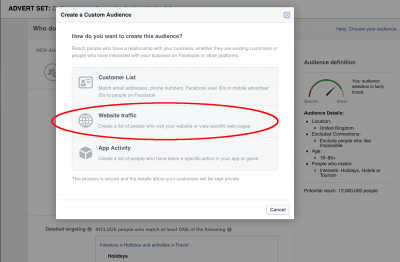 Are you using Facebook adverts? They’re a fantastic way for online shop owners to get their products in front of a bigger audience. Most importantly, they get your products in front of the right audience. 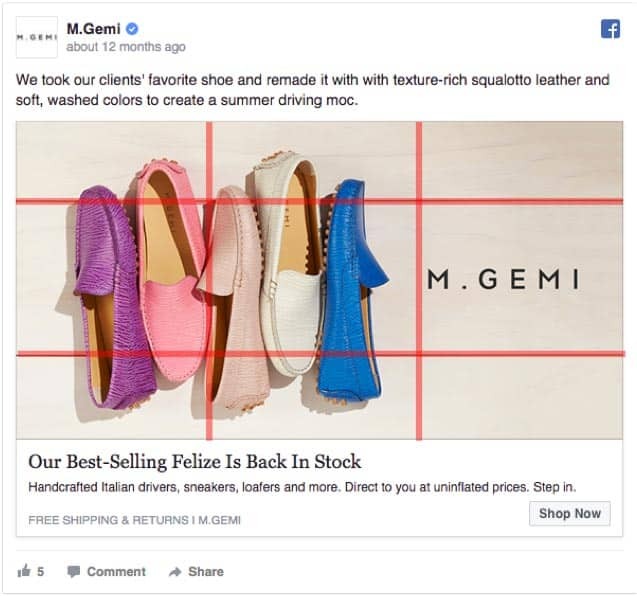 For ecommerce owners, Facebook gives you an easy way to target a very specific customer, and drive them back to your website. Using certain tricks and tips, you can squeeze even more value out of them. You can get more clicks, more targeted customers, and more sales. 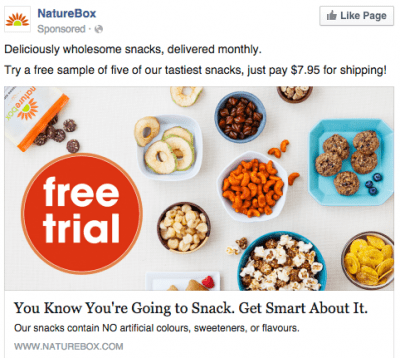 Facebook now allows you to choose a multi-product carousel advert. There are tons of reasons why this particular advert type increases click-through-rate and decreases your costs. First of all, it’s intriguing and interactive. Customers want to scroll through and see more products. Our natural intrigue leads us to click and play with it. That draws more people to your brand, and engages them. Secondly, you show a group of products that work together. Use this option to tell a story, or explain how multiple products interact. Thirdly, use it show a wider range of products. Let’s say you sell snowboard equipment. Customers might not immediately want to buy a snowboard, but you can use the carousel to show them cheaper products like boots or wax. It gives them a much bigger reason to click. Facebook’s algorithm actively prioritizes video content. 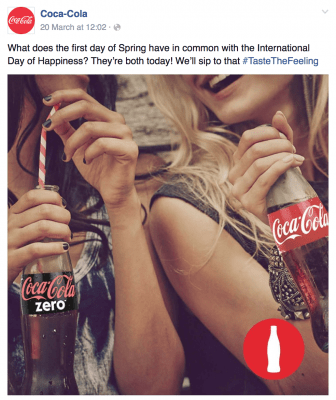 By using a video, your advert is much more likely to find its way onto people’s feed. Not only that, but it’s more engaging as a format. Statistics show that more than half of daily Facebook users watch videos on the platform every single day. Your customers are much more likely to stop and watch a video, as it instantly starts playing when they scroll over it. You can also use it to show your products in action. For example, Asos do this to show off their range of clothes. If you own a fashion store, you can do a similar thing yourself. When creating your advert, choose the video format. Everyone loves a sale, and your customers are much more likely to click when you offer a discount. If you’ve got a sale on your products, you can create an advert specifically for the sale or offer. Why not create an introductory offer to entice people in? Look at how Macy’s offer 25% off all products over $100. 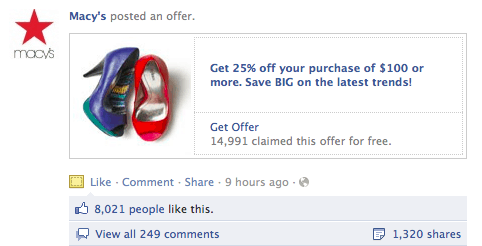 The best thing about this advert is that your potential customers don’t even need to leave Facebook to redeem it. There’s less friction, and it closes the gap between a sale. Clicking the ad gives them a unique code, that they can use on your website. This particular method also uses ‘social proof’, by showing others that ‘14,991’ people have already claimed it. All in all, this is a brilliant way to entice new and existing customers to your website. Sometimes, we’re wary of launching an advert, because we just never know how well it will react. Will anyone click through? Will it be a waste of money? That’s why boosting an existing post is a great idea. 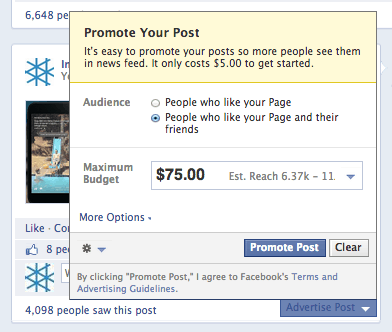 You can pick a post that has already generated tons of shares, click-throughs, and interactions. In other words, you know it works. Now, simply boost it to reach thousands of new people. You can choose to promote it to people who already like your page, or reach out to new people. (I’ll show you some more targeting tricks further down). The beauty of a boosted post is that you already know it produces results. Boost it, and you’re almost guaranteed more sales and attention. Not every advert needs to be focused on sales. In fact, studies show that we tend to tune out blatant adverts. We’re so used to seeing adverts online that we automatically ignore them. Instead, look for other ways to obtain value from your advert. One option is promoting an event. As an e commerce owner, events are a fantastic way to grow brand awareness. Perhaps you could host a product launch event in your area. If you own a fashion store, you could host a catwalk event, or sponsor a clothing event. If you run a jewelry shop, you could host a workshop in your local area. Then use a Facebook event to build awareness for it. 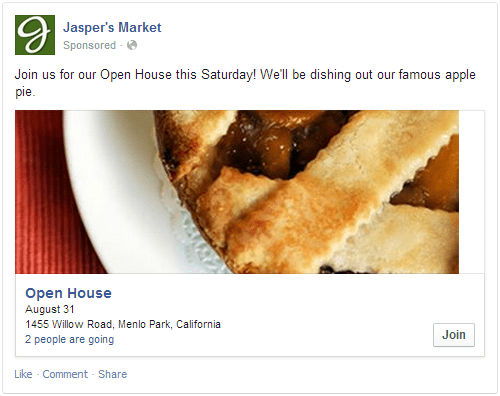 Look at how Jasper’s Market use an event to show off their products. They aren’t actively selling anything, but it all contributes to eventual sales. This is another great way to advertise without actually selling anything. Take North Face, for example. They are an outdoor and adventure store. Yet, their adverts focus on strengthening their brand identity rather than directly selling. 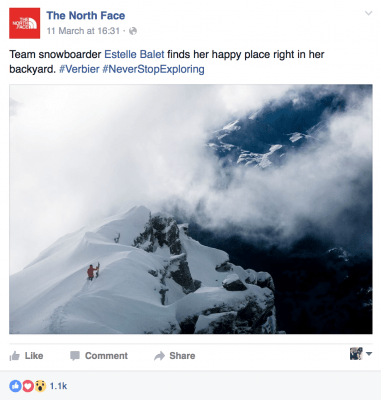 They understand that Facebook adverts work best when they’re visual, inspiring, and viral in nature. In the long-run, they will build their customer base, and strengthen their brand loyalty with this form of advertising. If you ask me, this is one of Facebook’s best new features. 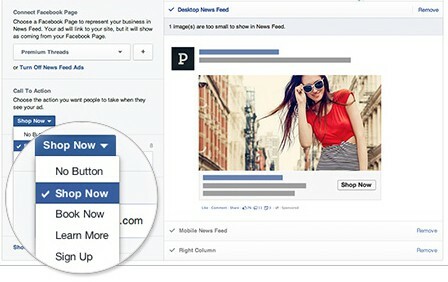 Rather than using the simple box format, Facebook now let you create a personal call-to-action. It’s still hugely underused by brands and ecommerce sellers. Yet, it will drastically increase your click-through-rate. When setting up your advert, head to the ‘text and links’ section. It will allow you to choose from a few drop down options, like ‘shop now’, ‘learn more’, ‘sign up’ etc. You can also enter your own custom call-to-action. This will actively drive your customers to click, and boost your potential sales. Facebook has the unique ability to offer niche advertising. It records the demographic and location data of most of its users. It also collects their interests, hobbies, and jobs. All of which are super useful for ecommerce owners. However, there are some even more powerful ways to target your adverts. Here are a few simple ideas. Many shop owners instinctively use Facebook ads to reach out to new customers. However, it’s actually much more effective to target people who have already visited your website. They’re already familiar with your brand. They’ve already browsed your products. There’s already a connection there, so they’re more likely to buy from you. You just need to remind them! Using Facebook adverts, you can remind them about your website, and strengthen your brand identity in their mind. First of all, you’ll need to use a little piece of code called a ‘Facebook pixel’. You place it on your website, so Facebook can gather information about who visits your site. 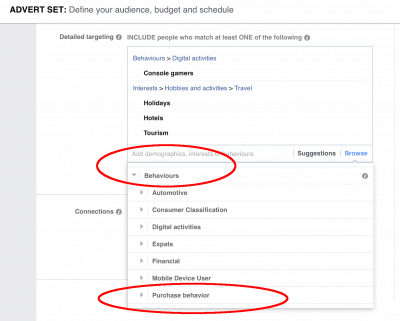 Now, when setting up your advert, click the ‘Custom Audience’ option. You’ll now see this option. Now, Facebook will target users who have already been on your website. You’re much more likely to get the click-through and sale using this technique. Again, this uses the same method above. Only this time, your target audience is even more closely connected to you. They’ve signed up to your email list, meaning they’re already very interested in your products. 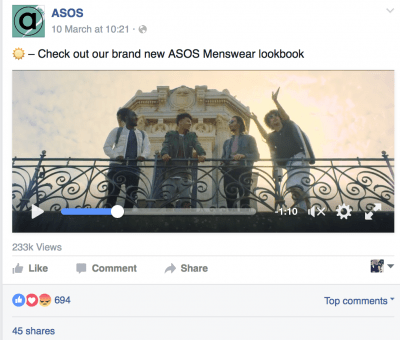 A few careful Facebook adverts will boost your brand awareness even further, and convince them to buy. 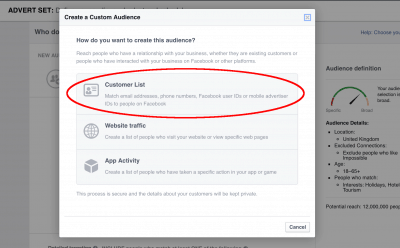 Facebook have recently launched a new section of their targeting algorithm. It’s called ‘behaviours’, circled below. By heading to ‘purchasing behaviour’ on the drop down, you can choose to target people who are in the process of buying a particular product. Let’s say you’ve been browsing websites looking to buy a new games console. Using cookies on your browser, Facebook knows when you’ve been looking for a new console, so it starts serving ads to you tailored to gaming. You’ve probably experienced this yourself. As an e commerce seller, you can flip the tables. Now you can target people who are in the process of buying a console. Perfect if you sell games or accessories. You can do this for just about anything: jewellery, fashion, sunglasses etc. If you stock expensive products, your advertising is generally wasted on a broke student! Let’s say you sell luxury bath soaps at $100 a soap bar, or premium sunglasses at $500 a pair. You’ve clearly got a specific, high-end market in mind. I’ve never seen a broke student drop $100 on a bar of soap, so you’re just throwing advertising money into the air if you promote your product to this wide audience. By targeting people with only a high net worth or high average income, you’re more likely to hit your target audience. 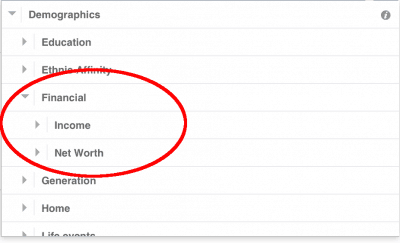 Facebook also categorize those who spend more than average online. Naturally, these Facebook users are happy to get their credit cards out, and love a little online shopping! These are the perfect users to target, especially when narrowed down with interests and demographics. This one is great for anyone selling baby products, children’s clothes, or products for parents. 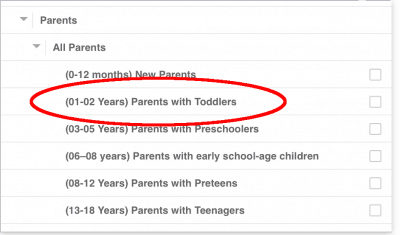 But, obviously, there’s a huge age gap for parents with children. Targeting ‘parents’ could mean those with a teenager. Pretty pointless if you sell baby accessories. So Facebook break it down into the age of the parent’s children. There’s also a great category just below this for ‘expectant mothers’. This is a huge market to tap if you sell baby clothes, and Facebook lets you promote directly to all the pregnant mums around the world! Couples who are half-the-world away from each other love to send gifts. You can help them out, by targeting them directly. Facebook uses its various analytics to identify couples that are in long-distance relationships. As you can see in the image, you can also target people if they’ve got an anniversary coming up. Those people are invariably looking for a gift in the near future. You can also target friends of those with a new job or friends of a recently engaged couple. These are people that are likely to be looking to buy something. Facebook prioritize images and videos above other forms of content, so you’ve got to get them just right. You’ve got to stop people in their tracks with an eye-catching photo. Here are a couple of tricks that will help. Advertising experts have done thousands of tests, and concluded that white backgrounds drive more click-throughs. Why? Because, in general, it draws the eye. Web designers regularly use white space to make the main object stand out more. In this image, see how the orange pops out of the screen. It’s boosted by the white screen behind it. The customer’s eye is automatically drawn towards it, and they’re much more likely to click on the link. Try it yourself with your own adverts. These guys get it absolutely right here. The bright colors pop out, while there’s a sense of uniformity and balance – all thanks to the handy dandy “rule of thirds.” Notice how intentional the proportions of the objects are; two-third of the ad will be the shoes (primary object) while the final one-third will be the brand (secondary object). This provides a visual hierarchy, where you’re first drawn to their beautiful mocs, then you’re introduced to the brand. They also give the product and the logo a ton of breathing space, giving it a sleek and well-balanced touch. 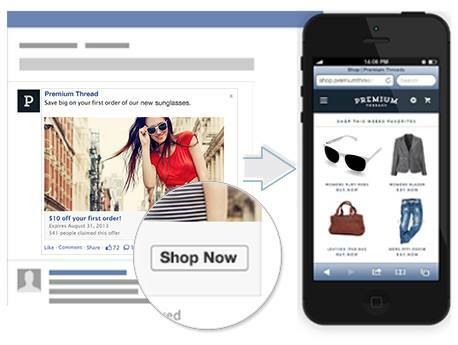 Read more about design principles of Facebook Ads. This trick might seem strange, but statistics show that products sell better when advertised in a person’s right hand. Crazy! But, true. This is all based on age-old marketing knowledge. In a shop, for example, items you buy regularly are placed on the righthand side as you move down. You can use this same trick online. Our eyes are immediately drawn to the right hand. For most of us, it’s more natural. You can use all sorts of jedi mind-tricks when using online marketing and advertising. Your mind processes a simple figure much faster than one with pennies. So, instead of promoting a pair of sunglasses at $14.95, promote them at $15. Don’t be afraid to round up or down in the pursuit of a better click-through rate. Using these tricks, you can drive a lot more sales in both the short term, and the long term. As always, I’m here to answer any questions you have about Facebook advertising or marketing in general. Thanks for reading!